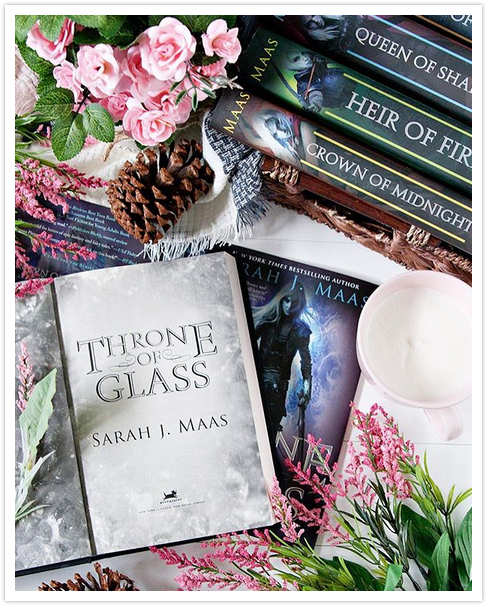 Throne of Glass by Sarah J. Maas is one of those books that have been sitting on my shelf for forever, but that I never really got around to reading, even though I really, really wanted to. I own all of the books in this series that have been released so far, and every day I pass them on my shelf, but never picked them up. This year I made a goal to finish reading some of the book series that I had started on the past but had not yet finished, AND to finally start a few books series that I had been meaning to read, but still hadn't gotten to. 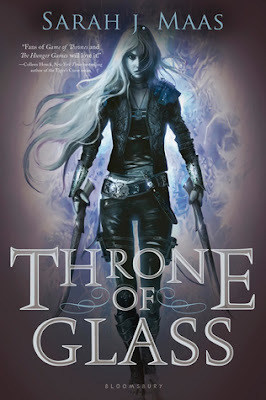 Throne of Glass was definitively on my list of series to start reading, and I'm thrilled to say I finally read the book! And, if I read one book from this series a month over the next few months, I will be completely caught up by the time the seventh and final book is released in October!! My first thought after finally finishing it was: WHY had I not read this book sooner!? A lot of people warned me that I would really enjoy it, and I did. There were a lot of things to like about the story, including the main character, Celaena/Aelin, who is pretty fierce and quite the badass. I'm looking forward to seeing what the rest of the books in this series have in store for her. I also really liked both Chaol and Dorian, thought it did take me a bit to warm up to Dorian. Nehemia was really awesome as well, and I hope we get to see her again in the next book. The storyline for this book was definitely unique, and highly entertaining. 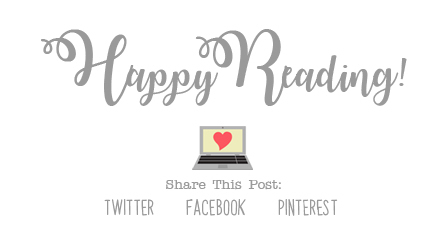 I had a few different fantasy books on my TBR this month, including Glass Sword by Victoria Aveyard which I just recently finished, and also Siege and Storm by Leigh Bardugo, which I just started. I was a little worried that reading so many different fantasy stories together in one month would be confusing, but they are all so different and unique, I don't think I will have to worry about that after all. I opted to listen to the audiobook version of Throne of Glass, even though I own physical copies all the books, mostly because I found it on Audible for less than $5, and it seemed like really good deal. Elizabeth Evans did a great job narrating the story, and I just recently discovered that she narrates for the whole series, so that is pretty awesome. I definitely plan to read the rest of the series in audio format as well.